LEXINGTON, Ky. (April 20, 2012) — The University of Kentucky College of Engineering has selected its 2012 inductees into the Hall of Distinction. The four newest members will be honored in a ceremony today in the Main Building on the UK campus. Rebecca M. Cowen-Hirsch, B.S. Electrical Engineering, 1988. Cowen-Hirsch is senior vice president for government policy, strategy, and outreach for Inmarsat Government Services Inc., the leading provider of global mobile satellite communications, where she is responsible for strategic direction, development, and execution of government business across key markets around the world. D.L. Lobb, B.S. Civil Engineering, 1979. Lobb is the senior vice president of operations development for Asia in Beijing, China for Peabody Energy, where he is in charge of leading development activities across China and Mongolia. James W. McCurry, B.S. Mechanical Engineering, 1953. McCurry spent 39 years in systems engineering and project management for the Air Force and within the aerospace industry where he was involved with historic projects such as John Glenn’s Mercury flight in 1962, the first moon landing with Apollo 11 and the Gemini Program. Larry E. Whaley, B.S. Civil Engineering, 1968. Whaley is the president, CEO, and one of the founding members of Haynes Whaley Associates, a 35-year-old structural engineering firm that offers a broad range of commercial, public and institutional projects. 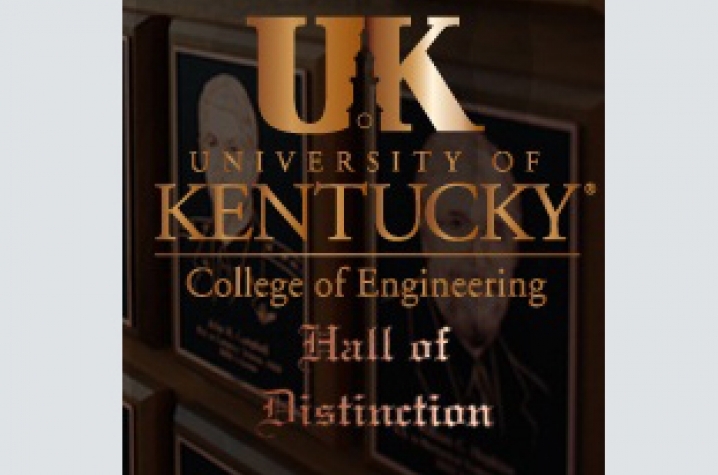 Initiated in 1992, the Hall of Distinction recognizes and honors UK College of Engineering alumni who have demonstrated distinguished professional accomplishments, outstanding character and commitment to community service. This recognition serves to encourage exemplary achievements by current students and others. It is a symbol of the respect and admiration held by the college for these esteemed individuals. John Wesley Gunn, Class of 1890, earned the first engineering degree awarded by what eventually became the University of Kentucky. Since that modest beginning over 120 years ago, more than 22,000 individuals have followed his example and received degrees in engineering and computer science. Through their extraordinary achievements, the engineering alumni have established a lasting legacy of excellence.